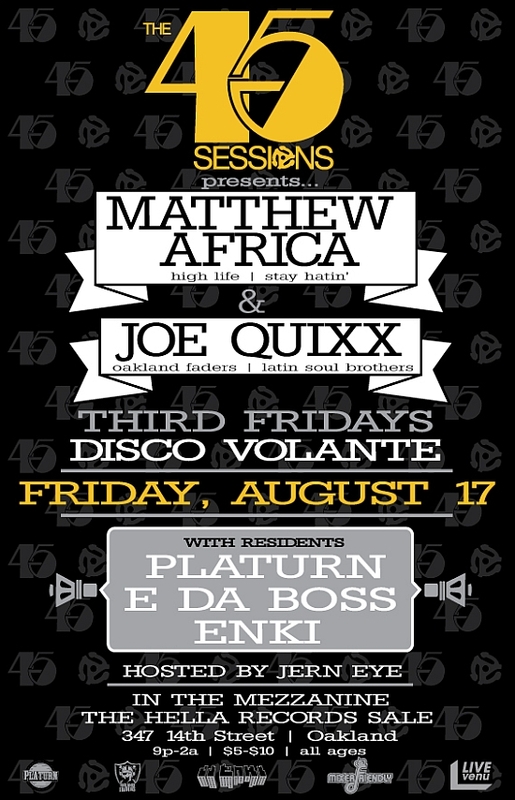 Join us for the 30th installment of the 45 Sessions with local heroes and legendary record collectors Matthew Africa & Joe Quixx. Anyone who knows anything about anything know these guys are no joke when it comes to their collections — been a while since we’ve seen ’em on the 45s tip as well. Don’t miss it!